Use one of these devices to give you the soft, ambient white noise you’re looking for. "Has essential features and an easy-to-use interface." "A splurge-worthy choice that offers expanded audio options." "This budget sleep machine offers loud, clear white noise." "Keeps out conversations and distractions in the work place." "Can easily transition into the toddler years." "Connect it to popular smart home systems like Google Home." "Worth trying if your pooch suffers from separation anxiety." "A multi-functional device that can clean your air while lulling you to sleep." "Weighs less than half a pound and can be charged via USB." Drown out the world and tune into deep relaxation with the Wave Sleep Therapy Sound Machine. With all the essential features and an easy-to-use interface, this model is our top pick for a white noise machine. The Wave Sleep Therapy Sound Machine features a half dozen different tones to lull you to sleep – including a fan, nature, and white noise sounds that mask outside noise and internal distractions. An optional 15, 30, or 60 minute timer lets you decide whether you want the machine to play all night or call it quits after a set amount of time. As for the quality of white noise produced by this machine, opinions are mostly favorable – though a few people complain of it lacking bass or mid-tone, and a few others said they noticed a distracting loop in the audio playback. It will largely depend on how keen your ear is to repetition, since many other users of this device are impressed by the lack of repetition in the noises. Aside from fulfilling its most basic function as a white noise machine, people appreciate that the Wave Sleep Therapy Sound Machine also has a USB port to charge your phone. This model from Pure Enrichment is a good value at about $30 and is both reliable and easy to use. A sound night of sleep can be worth a lot – and may definitely make it worth investing in a high-end white noise machine. The Sound+Sleep High Fidelity Sleep Sound Machine is a splurge-worthy choice that offers expanded audio options, adaptative volume control, and the ability to playback through headphones or an external speaker. According to users, the complex sound stories available in the Sound+Sleep white noise machine make repetition and looping nearly non-existent. Choose from 10 sound profiles featuring nature noises, a light city buzz, or standard white noise and then add up to 3 layers of complexity for a sound environment that is just right for you. To ensure that you can hear your white noise machine in all conditions, the machine is equipped with adaptive volume control that raises or lowers the decibels according to ambient noise in your surroundings. Let this high-end white noise machine pay for itself by playing all night long, or choose to set a sleep timer of 30, 60, 90, or 120 minutes. When the timer runs out, users appreciate that it gradually reduces sound volume before shutting off completely. People that have tried the Sound+Sleep High Fidelity White Noise machine report sleeping better and waking up more refreshed than they have in years. While a few people had software issues that caused certain sound stories to lose complexity or becoming static-filled, a hard reset or new memory card (courtesy of the manufacturer) seemed to solve the problem. If you must have all the options in a white noise machine, it’s tough to beat the high-quality audio and features of the Sound+Sleep High Fidelity White Noise Machine. Snooze better while spending less with a budget white noise machine, like this popular model from Homedics. A simple dome shaped speaker with simple buttons and easy to understand knobs will let you choose from 6 soft sounds to induce sleep quicker. The Homedics White Noise Sound Machine can be plugged into a standard wall outlet, or you can power it up with 4 AA batteries. Some users like to leave batteries in the unit so that in the event of a power failure, the machine will continue making sounds without interruption – this is especially useful for babies that are easily woken if their sound environment is altered. You can also set the machine to turn off after 15, 30, or 60 minutes. A big plus for most people that buy this budget white noise machine is that the sound level is quite loud in comparison with some other popular white noise machines. The biggest negative frequently reported is that the volume knob seems to fail after about 1 year of use. However, people love this Homedics Sleep Machine so much that they either replace the unit, only turn it on and off with the wall switch that controls the outlet the unit is plugged into, or remove the volume knob and use contact cleaner to get rid of dust and build-up that may be hampering the operation of the knob. The point is that for under $30, this budget sleep machine is offers loud, clear white noise that is effective for babies, children, and adults alike according to real world users. Keep things confidential or enjoy a little cubicle quiet time with a white noise machine for offices. The Marpac Dohm Classic is a popular, long-standing model of white noise machine that has been widely used in offices, cubicles, suites, and more. Considered to be among the first of the modern white noise machines, the Marpac Dohm is a mechanical white noise machine. This means that an actual fan inside the unit produces the natural-sounding white noise that keeps out conversation and distractions. With more than 4 stars from well over 13,000 people, the Dohm white noise machine has been drowning out people and things for a long time. Users suggest that you place it outside the office if you don’t want others to hear your private conversations, or place it inside your space if you need to tune out distractions. While this mechanical white noise machine lacks the variety in tones that digital machines offer, it’s a great, natural-sounding device that won’t be a hassle for your colleagues to listen to or make you feel like you’re on the beach when you’re really participating in a boring webinar (not that it would be a bad thing to have some beach vibes). Perhaps the most unique thing about the Marpac Dohm is that you can manually adjust the tone by twisting the top of the device. Doing so lets you change the size of the air intakes, altering the sound of the white noise produced. This device lacks fancy features, but makes up for it in reliability and simple, straightforward noise canceling ability. In recent years, a few people have pointed out that a persistent rattle has become a problem in their Dohm. Some have remedied this problem by opening the unit, cleaning it of accumulated dust, and adding a product like WD-40. Note that opening the unit’s internal compartment will void the 1-year warranty. Still, if you’re outside of your warranty period and it solves your problem, you’ve come out ahead. While you could use any white noise machine for babies, the Hatch Baby Rest Sound Machine offers some specific features that make this our go-to product for lulling little ones to sleep. This Bluetooth-enabled white noise machine can be controlled through your smartphone using the app from Hatch Baby. Turn the sound machine off, set and control automated programs, or adjust the lighting—all without having to enter the nursery and disturb your sleeping baby. Parents say this is a major plus and a hard to find feature among white noise machines. When using the Hatch Baby Sound Machine, you can choose from a half dozen white noise sounds including nature and ambient noises. A separate lighting function gives you the option for a soft night light in soothing colors that can be used with or without the white noise function. As your baby grows, this white noise machine will come in handy for establishing a morning or napping routine – it features an ‘Ok to Wake’ light option to let toddlers know it’s time to get up and move around. Several parents that have tested this feature were pleasantly surprised to see how well it worked in establishing a better morning routine for their early risers while buying them a few more minutes of precious shut eye. If you’re looking for a white noise machine for babies that can easily transition into the toddler years, then the Hatch Baby Sound Machine is the way to go. Integrate your white noise machine with your smart home, thanks to an innovative product like the Nightingale Smart Home Sleep System. This sleep-inducing device will delight techies that want to connect it to their smart home systems, but it’s easy enough to use by anyone—just plug it into a wall outlet. 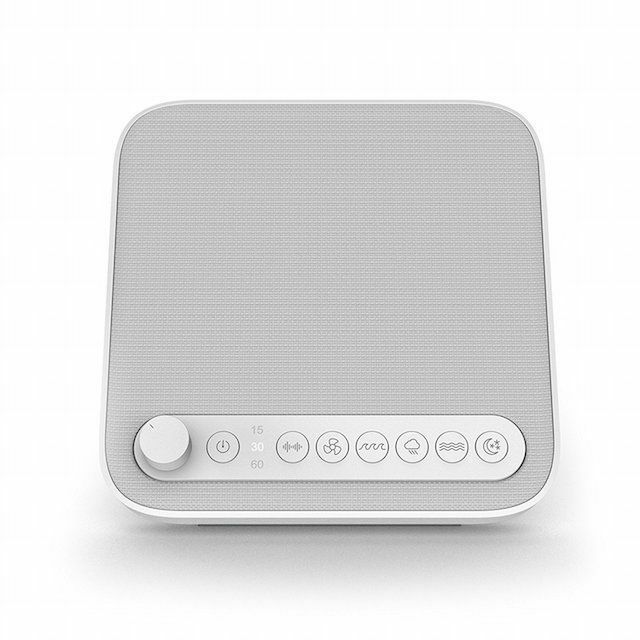 The Nigthingale Smart Home Sleep System is different from other white noise machines for smart homes primarily because it delivers a non-localized source of ambient noise. Typically purchased as a twin pack, plug the Nightingale units into opposite outlets in the room and each one will project soothing sounds from the external speakers which effectively covers the room in a ‘sound blanket,’ according to the company. You control the Nightingale system by means of an app on your smartphone, Bluetooth, or via an online browser. It can be integrated with popular smart home systems like Google Home, Nest, and Hue, or you can use Amazon Echo to control the device. Clinical research back up the Nightingale’s claim to help you fall asleep faster—up to 38 percent, according to the study. And while this is a relatively new product on the market, early users of the system say that it really does help them fall asleep faster and stay asleep. Some people have also found the Nightingale Sleep System to be a good option for a travel white noise machine, since the slim units can easily fit in a suitcase. Pets need soothing sounds too, and there are a variety of white noise machines for dogs on the market. The Pet Tunes Bluetooth Speaker is worth trying if your pooch suffers from separation anxiety, spends long hours at home alone, or entertains himself with excessive barking. This white noise machine for pets comes pre-loaded with 90 minutes of music specifically intended to be calming for dogs. Unlike generalized white noise machines for human ears, a canine behaviorist developed the audio tracks to reduce stress in our four-legged friends. If you frequently turn on the tv or radio for your pet, consider this option for background noise that is more tailored to the needs of a dog. Despite the fact that the audio is limited to just an hour and a half, you can set the device to play on repeat mode all-day—we doubt your furry friend will notice. Keep in mind that the battery lasts for about 8 hours, so if you want the unit to play past your average workday, you’ll need to plug it in. While this white noise machine for dogs doesn’t claim to fix separation anxiety, it does seem to noticeably relax dogs. Many pet parents reported less barking, marking, or other destructive behaviors. Improve your sleeping environment and your air quality simultaneously with a white noise machine equipped with a HEPA filter. The Coway 2-in-1 Air Purifier and White Noise Machine is a multi-functional device that can clean your air while lulling you to sleep. This white noise machine features 6 different audio selections with 5 levels of volume control. There is also a 15, 30, and 60-minute timer. The fan on the air purifier can be set at one of 3 speeds, along with a timer for 1, 4, or 8 hours. Whether you prefer mechanical white noise from a fan or the easy listening of nature-inspired white noise machines, this device has you covered. Inside of this white noise machine is a filter system equipped with both a carbon and HEPA filter to clean the air you breathe. This device has been recommended by the British Allergy Foundation and reviewers say they detect a noticeable difference in air quality. A few people did say that this unit was larger than expected—it measures just over 14 inches high, 13 inches wide, and 8 inches deep. So while this unit won’t be the same dimensions as your standard white noise machine, remember that it also is purifying the air while filling it with sweet, sleep-inducing sounds. Getting a good night of rest when you’re on the road can be tough to do. A white noise machine for travel, like the Rohm Portable White Noise Sound Machine can make it much easier to drift asleep and stay asleep in unfamiliar surroundings. This compact white noise machine is part of the popular Marpac family of white noise machines. Weighing less than half of a pound, the circular-shaped Rohm can be slipped into your carry-on or tucked into a backpack for easy portability. It’s small size means a limited sound selection though—choose from bright white noise, deep white noise, or soothing ocean sounds. You should know that unlike traditional Marpac white noise machines that rely on fan operation, this is a digital white noise machine. Either way, the Rohm has been used by many adventurers to drown out street noise, hotel commotion, and other unfamiliar sounds when sleeping somewhere different. The Rohm Portable White Noise Machine is charged via USB, which is another handy feature for travelers. You don’t have to worry about bringing along extra batteries or a separate charger. A standard USB cable will do the trick. There is no timer on this slimmed down sleep machine, so it will play continuously. One user found that the battery easily lasts all night and parents have found the continuous-play feature to be a plus when using it for babies. We bought and tested three top-rated white noise machines. Our reviewers spent 87 hours experimenting with their various noise options and observed how they affected sleep quality. We asked our testers to consider the most important features when using these white noise machines, from their sound options to their portability. We've outlined the key points here so that you, too, know what to look for when shopping. Noise options Not all white noises are the same. 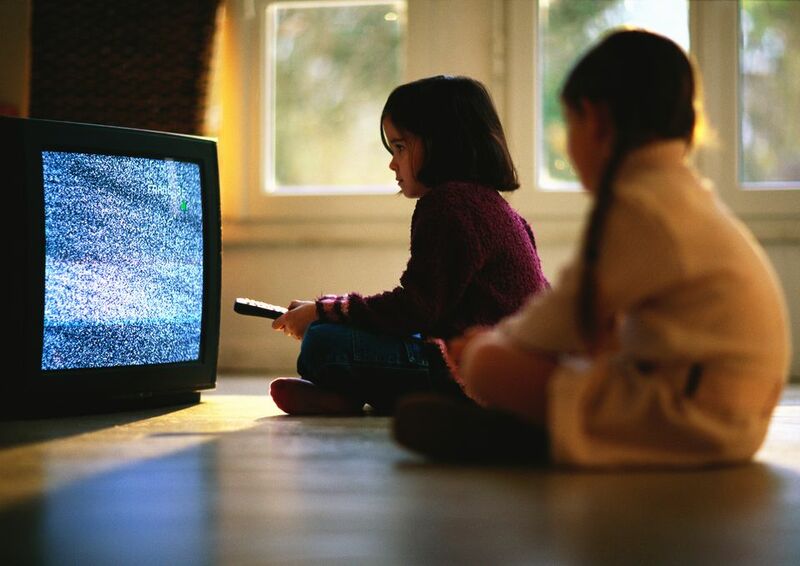 Some people prefer genuine white noise, while others may like fan sounds, ocean sounds, or rain sounds. Depending on your preferences, you may want to invest in a product that makes one particular type of sound — or if you’re not sure what you like, consider a model with more variety. Sleep timer While some people want a white noise machine that stays on all night, you might prefer to set a sleep timer so the machine shuts off automatically once you’re happily snoozing. Some products feature sleep timers while more basic models may have to be turned on and off manually. Portability White noise machines can be kind of addictive — once you start using one, you may feel like you need it to fall asleep. For this reason, it’s often beneficial to purchase a portable machine that’s easy to pack in your bag and take with you when you travel. This white noise machine really impressed one of our testers: “This product delivers on its promise of offering a more peaceful way to fall asleep, enhance relaxation, and block out unwanted noise, " she declared. "And with its price point, it’s a good start for anyone who wants to try a sound machine but doesn’t want to use their phone or computer to play similar tracks.” In terms of negatives, our testers thought that the six available sounds weren’t the best quality. "Some of them have too much static and are unrealistic,” one reviewer said. They also wished that the machine had additional options for power besides a wall outlet. One of our testers was pleasantly surprised by how many sounds were available on this device: “Each one also had a level of richness setting which would layer in more depth,” she noted. “For example, the rain setting starts as a light drizzle, but when you dial up the ‘richness,’ you get things like thunder added.” One reviewer also felt that because it had a sleep timer, it would work well in a child’s room: “You can set it and not worry about it,” she said. On the other hand, our testers thought it was too big and would have preferred it to have Bluetooth capability.